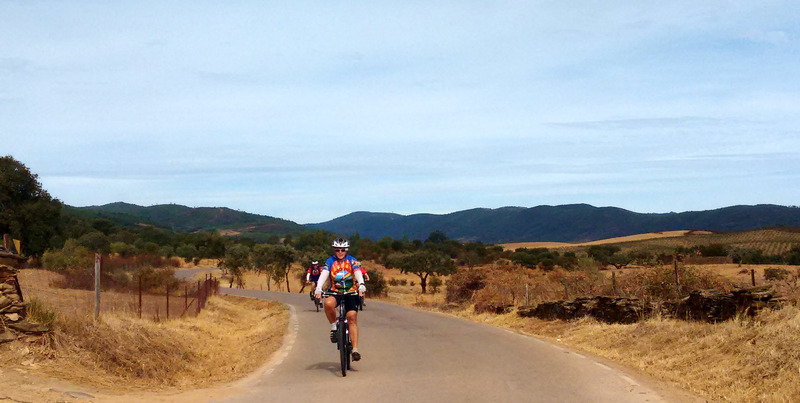 The following terms and conditions apply to all cycle tours booked through Pedal Portugal. The following terms and conditions apply to all guided tours booked through Pedal Portugal. Places on each tour are allocated on a provisional basis to riders who complete either: a booking form on the website; or a booking form we send to you by email. When we have sufficient interested riders for the tour to go ahead you will be asked to pay a deposit and/or the balance/full payment by a specified date. After your booking form and deposit are received, you will receive a confirmation email from Pedal Portugal. Please note: if the above actions are not completed by the specified date your place(s) on the tour may be offered to other riders. You should also not book any travel on the basis the tour is going ahead until you have received: A) confirmation the tour is happening and B) your place is confirmed as above. When a booking is made by one person on behalf of a number of riders, it is the duty of the person making the booking to ensure he or she has the authority of the other rider(s) to make such a booking. In the event that insufficient other riders proceed with the booking we reserve the right to cancel the tour, in which case your deposit will be returned in full (subject to any transfer costs for international payments). The deposit will be 50% of the full price of the tour for each participating rider and you will be sent an invoice setting out the exact amount when we start the booking process. Tour prices are quoted in euros (€) and this amount will not change. However, payment may sometimes be taken in British pounds sterling (£) and this figure will be calculated based on the exchange rate at the time the deposit/balance is requested. Please note: your place on the tour is dependent on both the deposit and/or full payment being received by the date(s) specified by us. The price per person as advertised on the Pedal Portugal website is based on two people sharing a room. A single person supplement will apply to all bookings that relate to one person. Where riders are prepared to share we will organise twin rooms if possible and charge accordingly. However, where this cannot be arranged, individual riders will have to pay the single supplement. Please note: Prices advertised on the website are correct at the time of publication. However, we reserve the right to raise or lower the final total package price in order to reflect changes in costs of individual aspects of the package and/or to reflect changes in exchange rates. The balance of payment will normally be due no later than 45 days prior to the departure of your tour and you will receive an invoice beforehand setting out what is owed in either euros (€) or British pounds sterling (£). If the balance is not paid by the due date we will assume this is a cancellation – in which case the fees set out below will apply. Method of payment for each tour will be set out in the email sent with booking information. Please note: For deposits being returned to non-sterling/euro (£/€) bank accounts, any refund will be calculated as a percentage of the amount originally received in £/€ by Pedal Portugal. We take no responsibility for fluctuations in exchange rates and all refunds will be made at the exchange rate set by Pedal Portugal’s bank on the day any transfer takes place. This rate may be higher or lower than the exchange rate at the time the deposit was received. 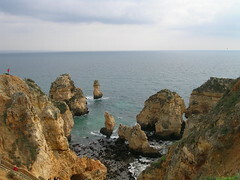 Pedal Portugal will arrange the itinerary for each tour as detailed on the website. However, we reserve the right to change the exact route and overnight stops where necessary. Transfer arrangements will vary from tour to tour. 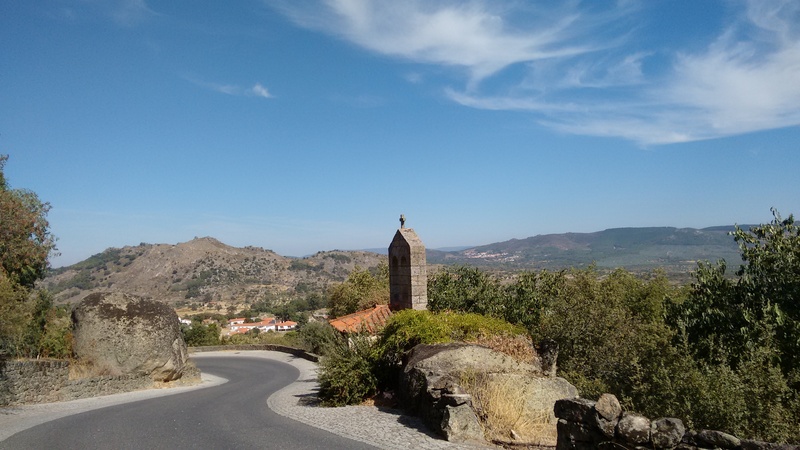 Specific arrangements for each tour will be given in its overview on the Pedal Portugal website. Where specified, we will provide tickets for trains – either from Lisbon or Porto depending on the tour – for the first day of the tour. We will also provide tickets for trains back to Lisbon where specified in the tour overview. Some tours may include a direct airport transfer either at the beginning or end of a tour but only where this is specified in the overview. We will also advise on bus and/or rail travel for any riders travelling on other days or from/to different destinations. However, travel on other days and from/to other destinations than those specified in the tour overview will be at your own cost. We will book accommodation as detailed for each tour. We reserve the right to change accommodation based on room availability and price. Accommodation will be on a bed and breakfast basis. We will provide a picnic lunch on all days other than transfer and rest days. On these days lunch will be at your own expense. We will also organise evening meals for every night of the tour. Where possible we will try to organise appropriate meals for any riders with specific dietary requests – e.g. a gluten-free diet – but we can not guarantee to be able to cater to individual diets. If you have specific dietary requirements it is also your responsibility to notify us when booking a tour. The support vehicle will carry free supplies of fresh mineral water. Other snacks and drinks will be at your own expense. We will provide a support vehicle for guided and non-guided tours. This vehicle will also be used to transfer your luggage each day to the next overnight stop. Each rider is entitled to bring a single suitcase/bag as their luggage with a maximum weight of 23kg. Pedal Portugal can not guarantee to transport any additional luggage, which remains the responsibility of the rider. We will take all reasonable precautions to look after your belongings when they are in the support vehicle but recommend riders take out their own insurance. We can not take responsibility for valuables and riders should carry their own passports, money etc with them at all times. The support vehicle will not travel with the riders but will meet the group at pre-arranged intervals, agreed on a day-to-day basis. The support vehicle will carry additional supplies of bottled water and additional tools in order to assist with any problems with bicycles. In the case of a mechanical problem that renders a bicycle unrideable or other emergency (accident, health problem etc.) we will arrange transport, either using the support vehicle or another vehicle (taxi or public transport), for the rider(s) and bicycle(s) involved. 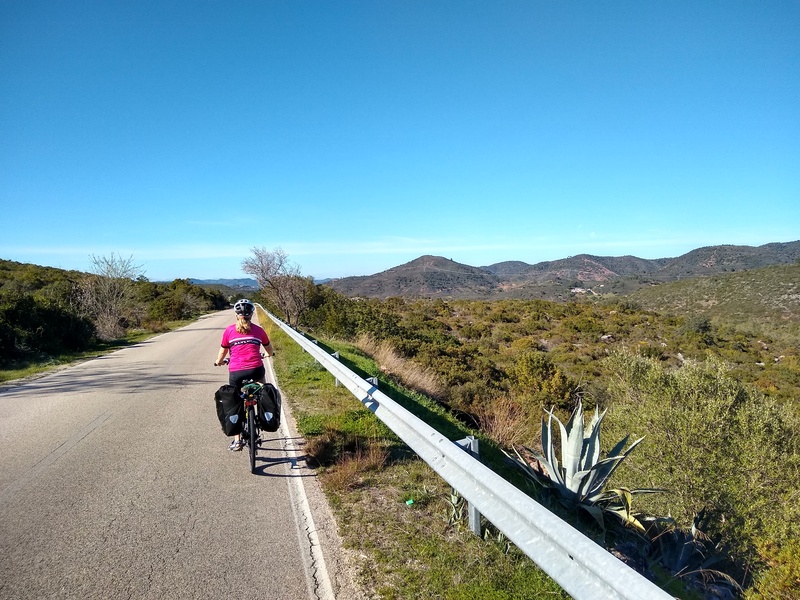 Except on bespoke tours specifically arranged on a non-guided basis, a member of the Pedal Portugal team will be available as a guide to cycle with the group for every day of the tour. The other member will drive the support vehicle. In the event riders do not stay in one group, the guide or the support van will stay with or behind the slower riders. Riders who want to go ahead of the main group on the planned route, or take other detours, do this at their own risk. We will provide outline maps and printed route instructions for our routes if requested but it is the responsibility of riders to ensure they can navigate the route if they separate from the main group. Please note: In the event that one of the Pedal Portugal team is unable to accompany the group for any reason we can not guarantee a guide being able to ride with you at all times. In these circumstances, the guide will operate from the support vehicle. A member of the Pedal Portugal team will assist with any minor mechanical problems you have while cycling. However, this may involve waiting for the support vehicle and we recommend you are able to fix any minor problems (e.g. punctures/flat tires) yourself. In the event a bicycle is unrideable, the support vehicle will transport you and/or your machine either to that day’s end point or to a town where a mechanic/spares can be sourced. You will be responsible for the cost of any repairs to bikes (whether hired or privately-owned). Bicycle hire is not included in the price of the tour. For riders who want to hire a bicycle we work with Cycling Rentals, a company that provides a range of models and accessories. We will co-ordinate delivery and collection of bicycles but we are not responsible for bicycles and/or equipment hired by you. As members of one of our tours, you will also benefit from a 15% discount on the company’s normal charges. We can not guarantee availability of bicycles in general or specific models and would always advise riders to book their bike as soon as possible once their place on a tour is confirmed. You are not obliged to hire through Cycling Rentals. However, if you use a different cycle hire company we will endeavour to help you make appropriate arrangements but you will be ultimately responsible for ensuring the bike is delivered ready for the start of the tour and collected afterwards. You can also bring your own bicycle. We will help with getting your bike to/from the start/finish of the tour where possible and practical but can not guarantee to be able to do this. You will be responsible for transporting the bicycle to/from the start/finish point of the tour. You will also be responsible for the maintenance of your bicycle and ensuring it is capable of carrying you for the duration of the tour. 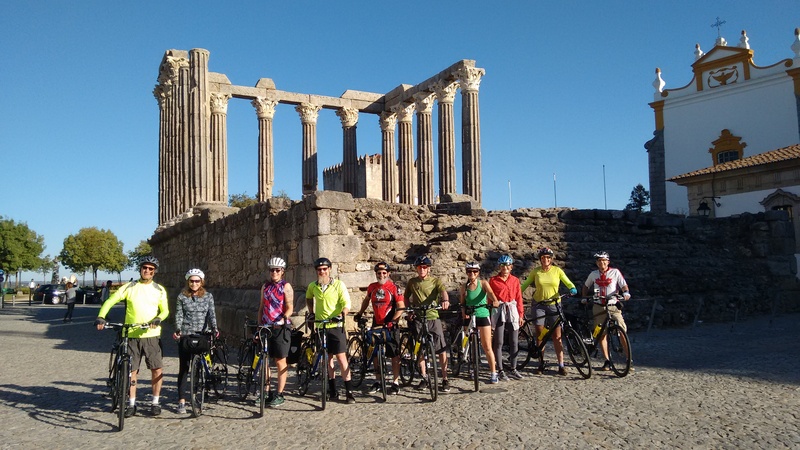 In the event of any breakdown or mechanical issue involving privately-owned bicycles, we will endeavour to assist wherever possible and reasonable but we can not delay or halt the tour. You must have all appropriate and necessary health/medical and travel insurance. It is your responsibility to ensure you are physically fit enough to undertake the tour you have booked. You must also fully disclose any pre-existing illness or condition that might affect your ability to complete the ride or to ride safely. Pedal Portugal does not accept any responsibility for your failure to complete any tour due to lack of fitness, illness or injury. You accept that you will be cycling on public highways and the risks this involves. All bookings are made on the basis that you undertake the tour at your own risk. It is your responsibility to cycle in a safe manner at all times. While it is not compulsory to wear a cycle helmet in Portugal (unless riding an electrically-assisted bicycle), we advise that you wear a cycle helmet at all times. We also recommend you wear bright or high-visibility clothing at all times while cycling. You will be provided with a guide and support vehicle while on a guided tour, and taken on a planned route. If you decide to take an alternative route you must inform a member of the Pedal Portugal team and agree a meeting point and time. If you separate from the main group it is your responsibility to keep in touch with the Pedal Portugal team. We strongly recommend you bring a mobile telephone (cell) and provide this number before departure. You are responsible for carrying sufficient water so as to avoid dehydration. We also advise you carry suitable snacks. All riders must carry any clothing they may needed for each day’s ride, including suitable waterproof clothing. Riders bringing their own bicycle are responsible for ensuring they have a bicycle pannier or similar for carrying passports/money/spare clothing/waterproofs/snacks etc. At the start of the tour you are responsible for making your own way to the hotel at the start point or any other agreed meeting point. If you miss a train booked for your transfer (or any other transfer arranged for you) by the specified time and date we will endeavour to make alternative arrangements for you. However, this will be at your cost and we will also not refund the cost of any missed accommodation, meals etc. It is your responsibility to ensure that appropriate transfer or other travel arrangements are in place and to ensure that we are aware of these arrangements and of any other travel requirements. 8. Impact of weather, force majeure etc. We cannot guarantee weather conditions on our tours. By booking a tour you agree that you will cycle on the days/dates specified in the itinerary necessary to get from one overnight stop to another. In the event of extreme weather or other events that we deem make it impossible, unsafe or impractical for any member of the group to ride we will endeavour to make alternative arrangements to transport you (and your bicycle and luggage). However, we are not responsible for any extra charges this may incur. We shall have no liability to you if a tour cannot go ahead or continue due to an event of force majeure. 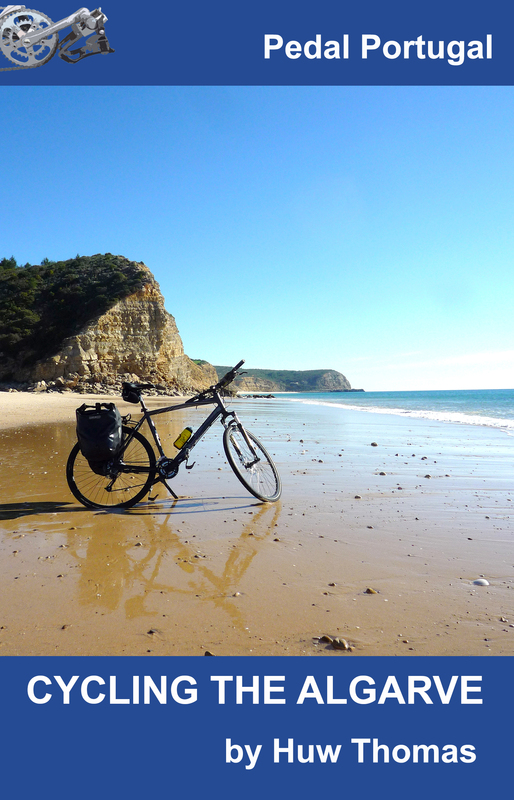 We reserve the right to use any photographs taken by us during the tour for Pedal Portugal publicity purposes. or where any loss or damage is considered to be indirect or consequential loss. Except in respect of death and personal injury, our total liability to you under this contract between us shall be limited to the total cost of your booking. Except where expressly permitted under the UK’s Data Protection Act 1998, we will only use your personal details in connection with your booking arrangements, unless you agree otherwise. We will keep your personal details secure in accordance with our obligations under the Data Protection Act 1998. These terms and conditions constitute the entire agreement between us, and supersede any previous agreement or understanding and may not be varied except in writing between us. All other terms, express or implied by statute or otherwise, are excluded to the fullest extent permitted by law. Any notice required or permitted to be given by either of us to the other under these terms and conditions shall be in writing. No failure or delay by either of us in exercising any of its rights under these terms and conditions shall be deemed to be a waiver of that right, and no waiver by either of us of any breach of these terms and conditions by the other shall be considered as a waiver of any subsequent breach of the same or any other provision. If any provision of these terms and conditions is held by any court or other competent authority to be invalid or unenforceable in whole or in part, the validity of the other provisions of these terms and conditions and the remainder of the provision in question shall not be affected. Except as otherwise expressly provided herein, nothing in these terms and conditions confers or purports to confer on any third party any benefit or any right to enforce any of these terms or conditions pursuant to the Contracts (Rights of Third Parties) Act 1999. These terms and conditions shall be governed by English law, and both of us hereby agree to submit to the exclusive jurisdiction of the English courts. These terms and conditions were updated 10th September 2018 and apply to all tours booked after that date.